This past week has been a casual one. The pats won the AFC championship and are headed to the SuperBowl meanwhile the industry for autonomous vehicles continues to try to find solutions that will ultimately uplift autonomous vehicles as fully functional instruments for society. As uncertainty is usually a characteristic that best denotes a topic as interesting, I guess we will take up the topic that holds the most uncertainty in the future: autonomous vehicles (since we know Brady is the GOAT). A few days ago I came across an article on the Wall Street Journal titled “Driverless Cars Tape the Brakes After Years of Hype” written by Tim Higgins. I personally thought the title was inherently a bit confusing so I decided to read more and I was ultimately moved to consider the depth of this industry and the implications that it raises. 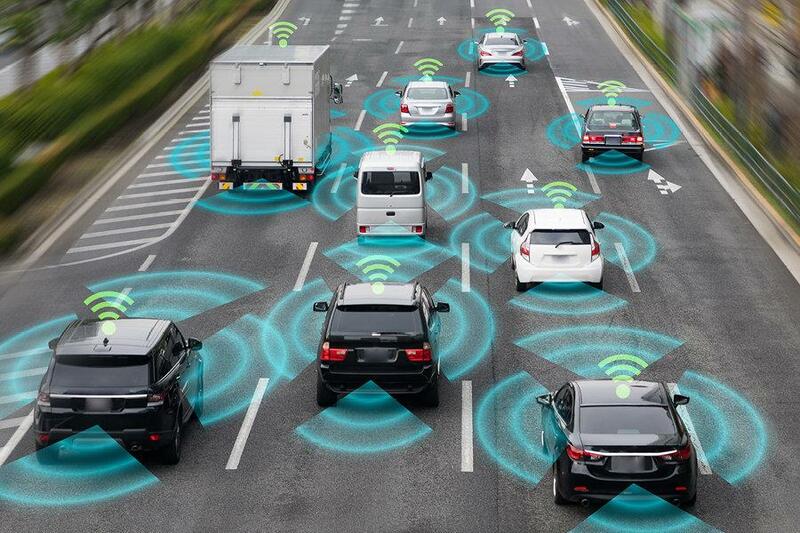 It seems as though we have all been hearing about all of the hype surrounding autonomous vehicles (cars that can operate themselves without a driver needed). We, the public/consumers, are occasionally promised its implementation into society being in the near future, yet, how far have we really come? In the video, the systems installed on the vehicle are broken down to see what failed. Experts concluded that it was likely the Lidar technology that acted as a factor in this accident. The Lidar is the primary sensor that uses lasers to calculate the distance of obstacles that could potentially block the vehicles path. In the video, the experts explained that the Lidar should have picked the pedestrian up despite being in the dark, so what went wrong? Now investigators must locate the malfunction to see if it was a problem with the hardware or if it was something else. Regardless, events like this are not common yet they still occur and necessitate the need to consider many factors as we proceed to revolutionize this technology going forward. Time and time again, this industry has shown to be full of more complications than people previously anticipated. Top executives like Tesla’s Elon Musk and Waymo’s John Krafcik have been noted several times as promising driverless cars in the near future. However, we continuously are left with disappointment which leads us to question if this technology will ever truly be viable or even socially accepted. Although Waymo successfully carried out their driverless car service in Pheonix, the company has yet to pull the safety operators from the vehicles. These operators, according to Krafcik, are merely there to answer questions and are essentially guides. This same method, having an operator in the car, is utilized by various corporations including General Motors Co., Cruise Automation, and Aptiv. Given the need to have an operator in the car, even if it is not a long term plan, seems to defeat the purpose of ever incorporating autonomous vehicles in society. This industry begs for answers to a multitude of questions as it has reached this period of ‘cautious optimism’ and calls for further analysis of its social implications. Furthermore, the article detailed the scene at the annual CES tech show in Las Vegas where the company, automotive supplier, Aptiv unveiled its latest operations. In order to monitor 75 autonomous vehicles, 30 of which operate 20 hour’s a day for Lyft, the company requires a 30 foot screen set in front of rows of monitors for the 300+ operators to ensure safety of the vehicles. Despite the industry still being in its early stages, the extent to which these vehicles are monitored in order to operate further begs the question if it is even economically sound. After learning of this, I was stumped as to how much money was going into these efforts and if the payoff in the future would even be worth it. Will people ever be comfortable with getting in self-driving vehicles? Sure, some people love a thrill and others simply do not care but from a more personal standpoint, I doubt a majority of the population will even be convinced in the coming decades. Upon reading the article and researching into this industry a little more, I was questioning if we will ever live in a society dependent upon autonomous vehicles. People are growing alarmingly more attracted to technology and more significantly their smartphones. With generations to come, will we reach a point where people are so immersed in technology and the lives they live inside their phones that no one will have the time to even drive a car? Will this technology ever be socially justified? In an accident, who would be to blame? And more importantly, will this technology take away jobs or simply create new ones? These are all questions we will be forced to ask ourselves as this technology continues to seek advancements. Many say that the technology of the future is officially here, yet, it seems evermore important to consider if a specific technology should be created just because it can be. ← Farms, Where Technology Reigns As King. Hi Jordan! The idea of humans being dependent on self-driving cars has always seemed so futuristic to me, something that would be in a sci-fi movie, but never in real life. I agree that in the upcoming decades the majority of the population will not be convinced that self-driving vehicles are becoming the new societal norm. I think so many people find a certain kind of freedom in driving which they aren’t ready to give up to technology. I think even if the vehicles are advanced enough to be 100% safe, the majority of population will still reject the idea of giving up driving completely. But you make a good point about the attachment and reliance on smartphones currently, could that happen to self-driving cars one day? Great post! I’m hopeful that we’ll get to visit a Lidar company while in SF. I do think that we’ll get to autonomous vehicles, but it will be longer than we think. Likely the explanation is exactly what we refer to as autonomous vehicles will change as their capabilities grow. I think interstate trucking will be the likely first application. Hey Jordan, great job delving into such a complicated topic. I know over the past two years, I’ve had countless conversations about the ethics, dangers, benefits, etc. that are bound to accompany autonomous vehicles. Your piece about the Lidar technology potentially being a factor in a crash, and all the other minuscule complications possible really makes me think about my faith in driverless cars. I think with the proper implementation, this technology could be truly revolutionary. However, I agree with Professor Kane when he says that they’re a bit farther off than it seems people are expecting. Great post Jordan! I really agree that it seems with each break through in this field we as the consumer feel that the implementation of autonomous vehicles is right around the corner, yet it is likely farther away than we think. One interesting thing that I’ve been considering is how the technology will react to unpredictable human behavior like the pedestrian on the highway in the video. It seems tech is very good at working with semi-predictable behavior, but from my own experience on the road this is usually not the case with other drivers. It should be interesting to follow going forward! Great post! I feel like many people don’t consider the implications involved with self-driving cars. I think one of the big ones you touched on is who would be to blame in an accident? With that why would the company want to be liable for that? I realize that technology should reduce human error, but I still find it easier to trust myself than a car. Maybe that will change in the future though. This is definitely a huge movement in the technology industry at the moment, and it will be interesting to see where it goes, and how fast it progresses. Very interesting post! I also agree to the idea that the ethical issues related to accidents etc. will always be the biggest factor that hinders the development/implementation of this technology. However, I think that it would be very hard for autonomous vehicles to be fully “autonomous” without any government regulations. There will probably be required human (driver) supervision while driving regarding to the responsibility in accidents. Hi Jordan! Interesting post! Whether human beings will entirely trusting a machine has been a question that holds back the implementation of self-driving cars. But I feel like the start of using any new innovations is always an experiment so there is no 100 percent guarantee of the safety. Probably one day when it is proven by data that the accident rate is tremendously declining and the performance of autonomous vehicles is exceeding our expectation, the implementation of self-driving cars will be a inevitable trend.